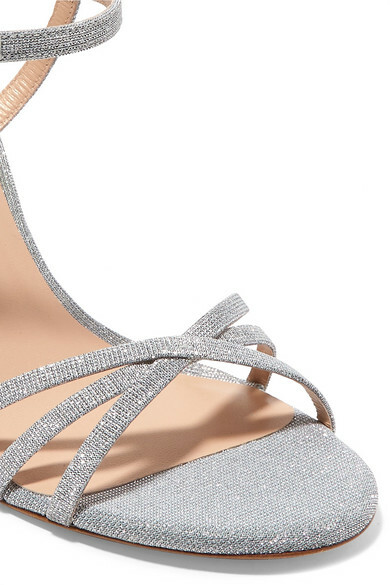 Stuart Weitzman's 'Starla' sandals are made from glittering silver lamé with slender straps that crisscross just above the bridge of your foot. They're lightly cushioned and lined with smooth leather insoles for comfort. Complement the open toe with a glossy pedicure. Shown here with: MATÉRIEL Blouse, L'AFSHAR Shoulder bag, Ellery Earrings, Jennifer Fisher Ring.